We arrived in Christchurch and went from the pure beauty of the previous nine days to pure shock and devastation seeing the result of the 2011 earthquake. What was once a beautiful proud city had crumbled under the forces of nature. 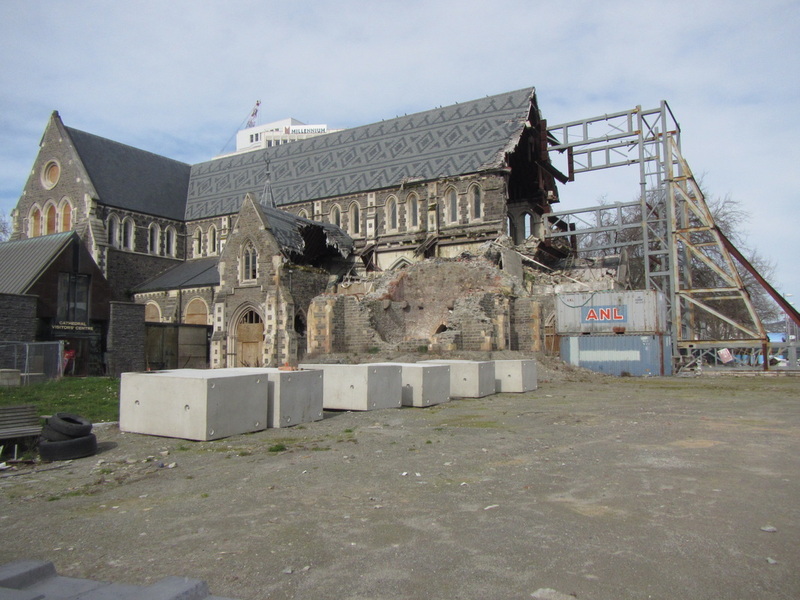 Although I had seen the incident on TV when it happened back in 2011, and I had heard so much about the earthquake in Christchurch I had no idea of how much devastation it had caused. The whole city centre of Christchurch is almost non-existent. Streets closed, buildings barricaded and lots of sites cleared where once stood iconic buildings. The pride and joy of Christchurch, the beautiful church stands in waiting as the locals decide whether to restore it or demolish it. One whole side has gone. It is so sad to see how these people of Christchurch have suffered and are still suffering. They are trying to get on with their lives the best they can and need to bring the tourists back, even if it is to see what has happened to their city. With all the devastation there is still so much to see in Christchurch. The people are welcoming and the parks are still beautiful. Check out what you can see and do in Christchurch and support the local people.